Great news for Plex DVR users with an Apple TV. You can now schedule recordings in the application directly. This goes a long way in making the experience more partner & kid friendly! 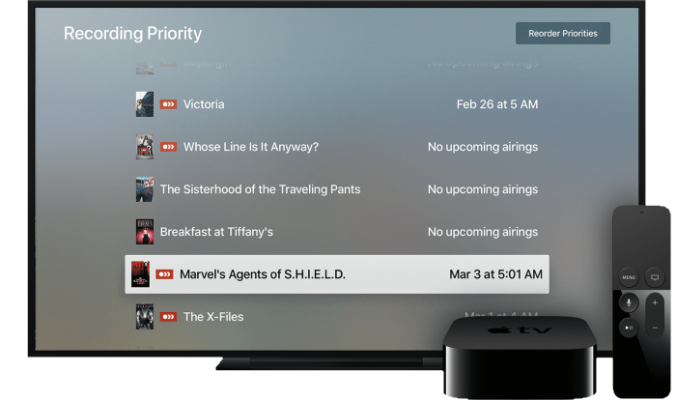 Along with watching Live TV, now you can also schedule recordings and use closed captioning on your Apple TV. With warmer weather (hopefully) just around the corner, don’t miss out on your favorite shows while you’re frolicking outside. With this update, Apple TV joins our beautiful lineup of apps that allow you to schedule recordings of over-the-air HD channels, like ABC, CBS, NBC, PBS, BBC, and more to enjoy on all your favorite devices.